Metro will stay open at least one hour past its usual 11:30 p.m. weeknight closing time for the Major League Baseball All-Star Game July 17. Metro will also stay open at least one later than usual for the July 16 Home Run Derby at Nationals Park. WASHINGTON — Metro will stay open at least one hour past its usual 11:30 p.m. weeknight closing time for the Major League Baseball All-Star Game July 17 and the Home Run Derby the night before. If either event runs longer than that, Metro said Navy Yard Metro station will remain open until 30 minutes after the end of each event. 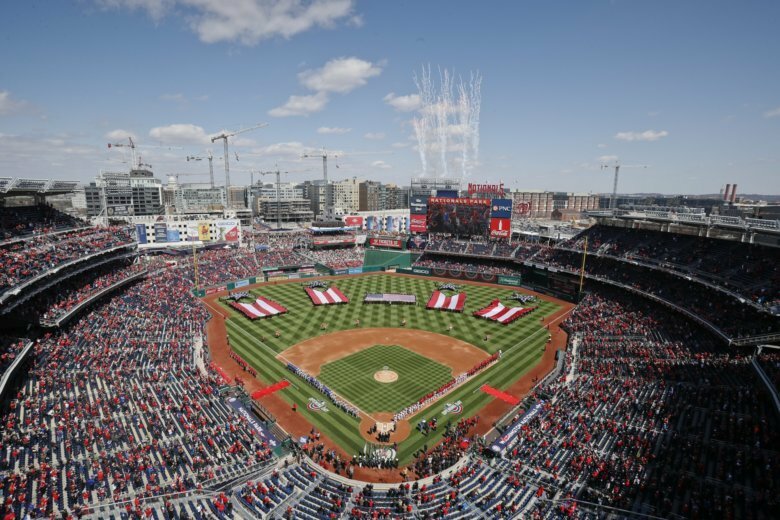 The Nationals have refused in the past to pay the deposit Metro requires for extended hours for regular season or playoff games, instead having a sponsor cover the costs. For the All-Star Game, Major League Baseball’s All-Star Game sponsor MasterCard has agreed to cover the costs of additional service. Metro is again announcing this as a “partnership” with MasterCard and MLB that includes Metro promotions tied to the “All-Star FanFest,” so the exact amount of money changing hands if any is not yet clear. This is the first time the All-Star Game has been held in the District since 1969. The event runs July 13-17. In addition to the All-Star Game and the home run derby, other events include the “FanFest” at the Walter E. Washington Convention Center on July 13 and a 5K “color run” on July 14 at Yards Park. Metro plans to skip any track work on the days of All-Star Game festivities, which include a number of events the weekend before the game itself. The weekend following the game though, Metro begins a six-week round-the-clock Red Line shutdown between Fort Totten and NoMa-Gallaudet stations.